Designed to keep the heat and rain out and let the light in, Gold Coast polycarbonate awnings offer modern and versatile solutions that can be custom made and shaped to suit almost any situation. From simple window, door and deck protection to re-roofing complex patios and uniquely designed structures. 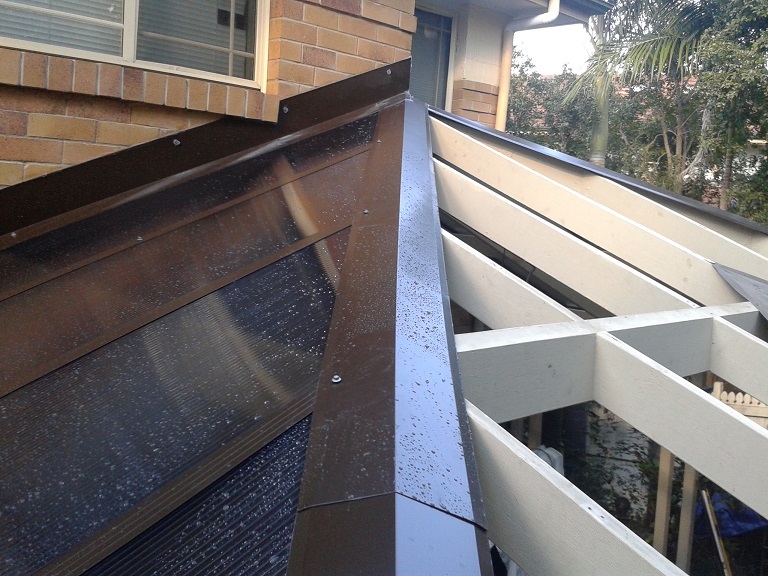 Our team of Gold Coast polycarbonate awnings specialists has a solution for you. 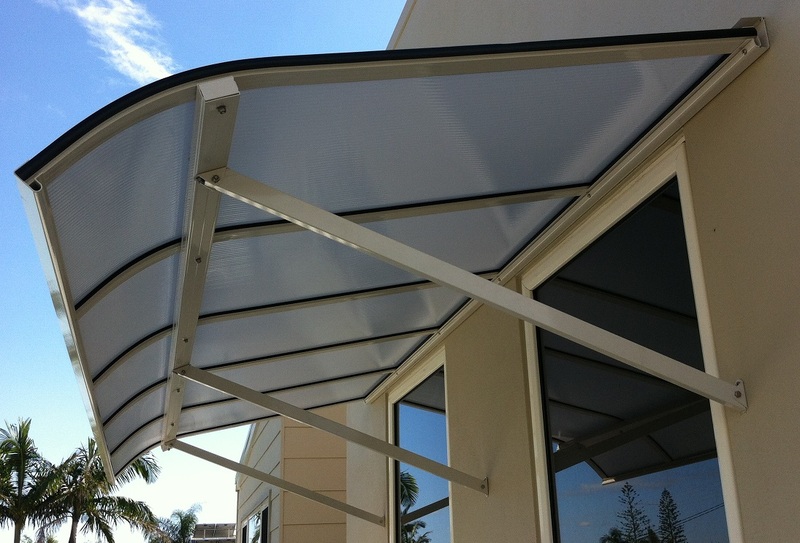 With 99.9% UV protection, polycarbonate awning hoods are an ideal solution to cover windows, doors or small decks. Perfect for blocking the rain and harmful UV, yet still letting the light in. Lightweight and strong, polycarbonate hood awnings are ideal for home or commercial use. 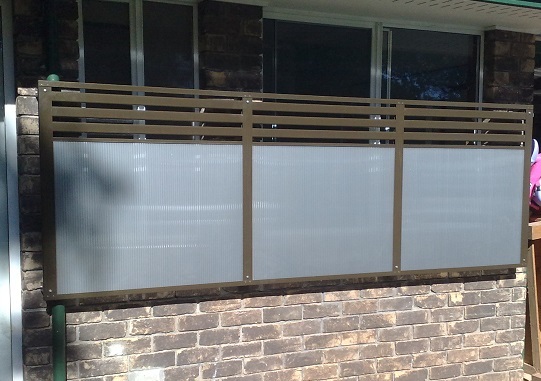 Available in a range of colour tints, polycarbonate is also ideal as a privacy screen that also protects against heat and UV. 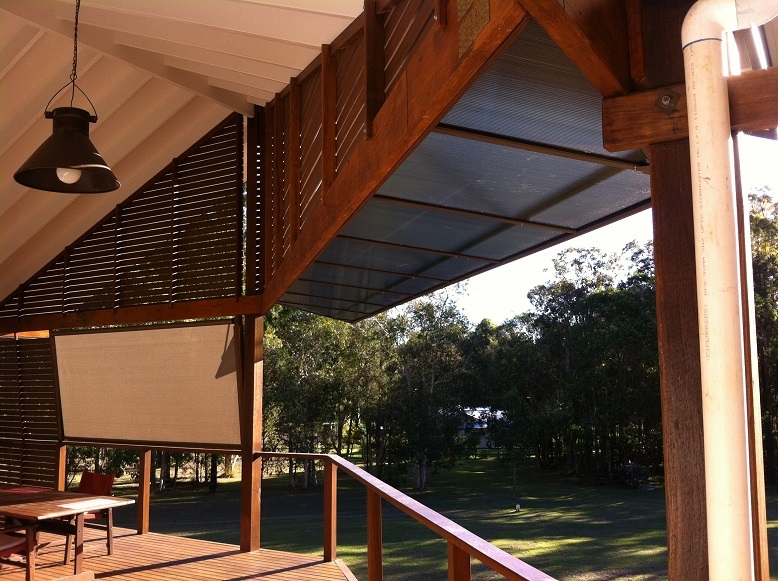 All our Gold Coast polycarbonate awnings and privacy screens are custom made to suit your space and can be designed using a combination of materials. Polycarbonate is an extremely versatile material. We use 8mm polycarbonate for most of our custom built Gold Coast polycarbonate awnings, which offers outstanding flexibility in design and advanced heat-reflecting performance. We can design an awning to suit any roof design, window covering or courtyard space. Need to update your patio, carport, verandah, skylight, sunroom or pool area? All Season Awnings are experts in re-roofing projects. We use high quality polycarbonate for its superior fire, hail and wind load resistance properties, backed by a 10-year product warranty.